With the celebration of Diwali at Sanskaar Vidhya Niketan-2, the festival of lights came alive on 2nd November 2018. 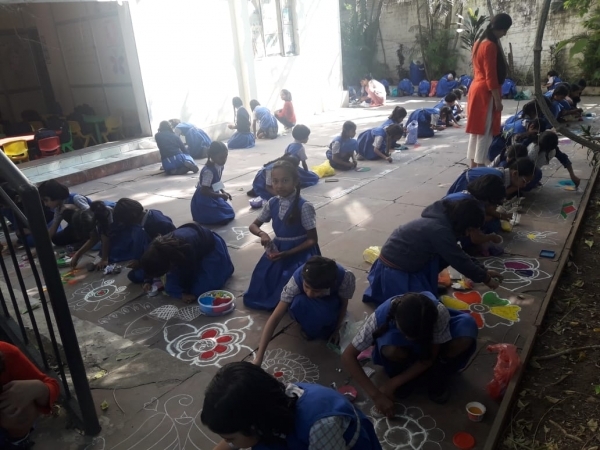 The whole school was lit up with pots, diyas, and lanterns made by the kids that beautifully adorned the corridors of the school. 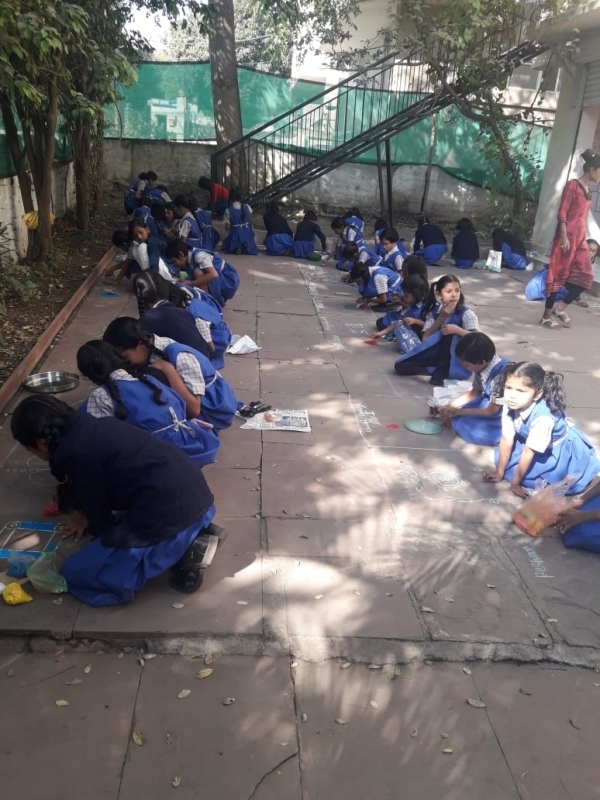 A Rangoli making competition was held and students made vibrant and colourful rangolis which added the perfect setting to the festivity. 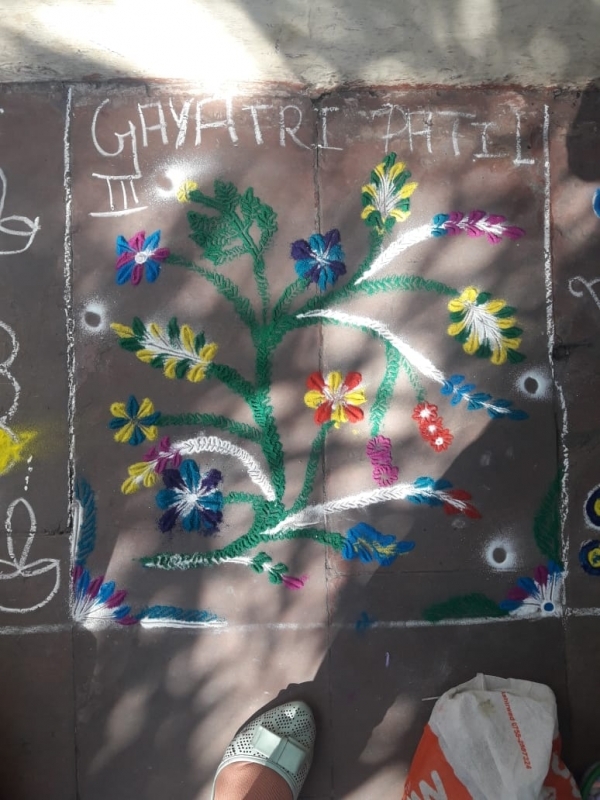 A discourse also took place on the significance of this festival elaborating how good always conquered the evil, the basic spirit around which Diwali is celebrated. The students showcased their enthusiasm through active participation. The students also exchanged Diwali greetings with friends and teachers before embarking on a Diwali Break.